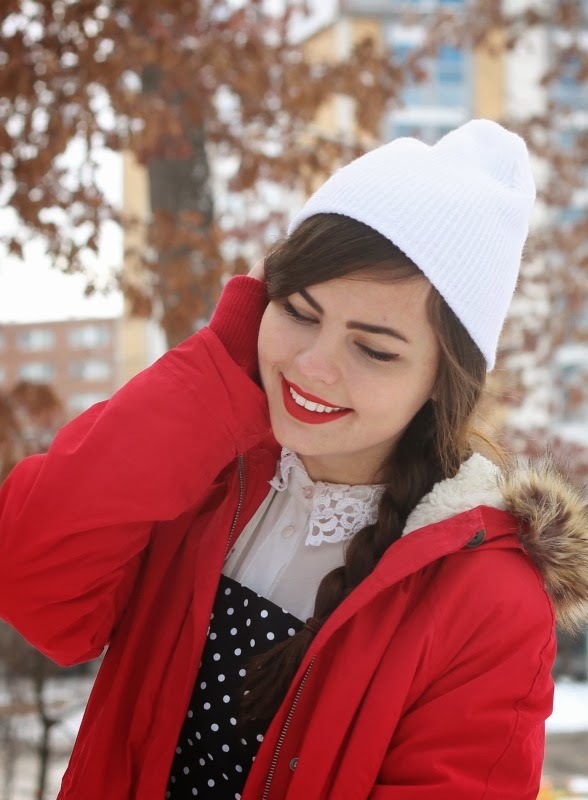 Red Parka Coat, White Beanie: Aeropostale. When I was home for Thanksgiving Break I worked at Aeropostale and couldn't help myself to buy a few things. It's funny because when I first started working there I didn't think it was going to be a problem to want to buy things from there (not my style), but since Aero has been going through their revolution I've found myself really liking a vast majority of the clothing. One piece in particular; this coat! 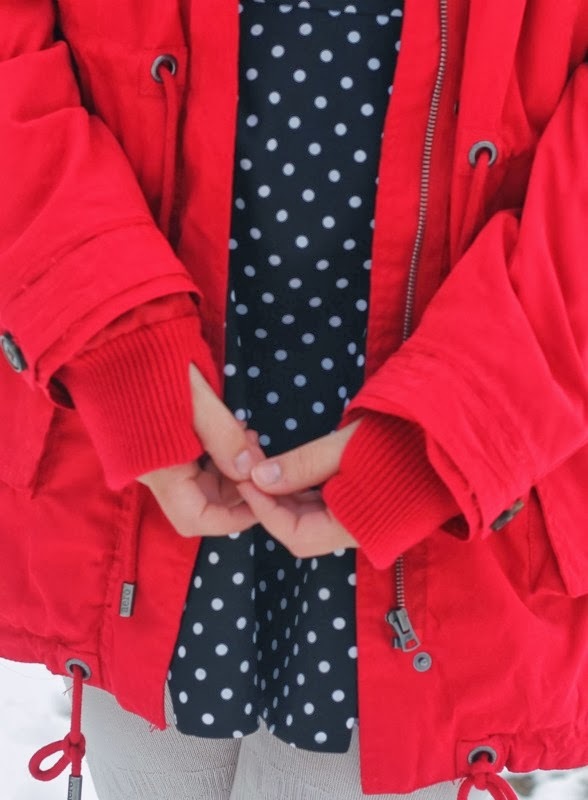 My winter coat is about three years old and although there's nothing wrong with it, I don't feel like it's my style anymore or really even warm enough. 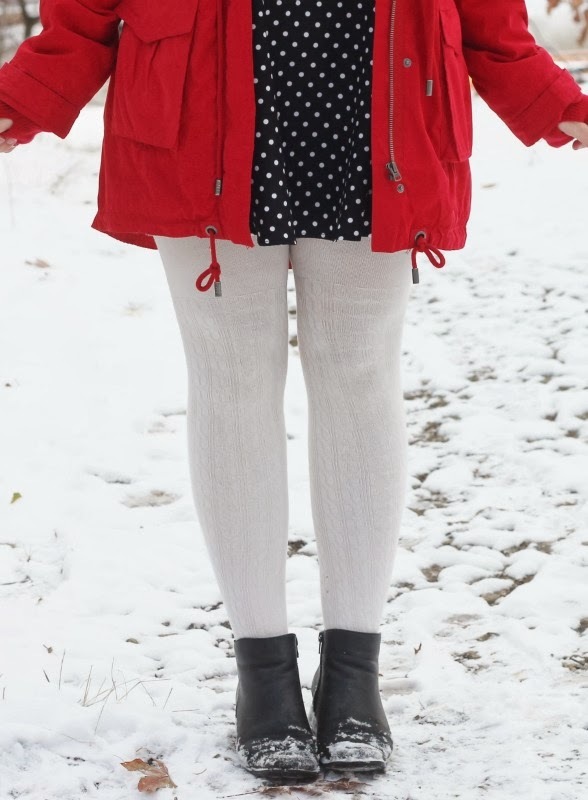 I knew when I got a new winter coat I would want it to be red this time, and so it was fate that I found this one! I've really been attracted to the parka style jackets this season which is strange for me because they're not ultra feminine. This coat is perfect though and fleece lined with a big, nice fur hood to shield my face from the Kent wind (aka we are Chicago here). It also has these comfy thumb holes at the bottom of the sleeves that don't really have a purpose, but I'm one of those people who pulls my sleeves down like that anyways so it's ideal. I'm a very cheap person and the $130 price tag on this was way too steep, but it was 70% off and then I used my employee discount and I got it for $25! Couldn't pass it up. You look so cute and wintry! Love that coat. I'm glad life is treating you well. I made the same resolution myself when I went to buy a new coat: it has to be red. 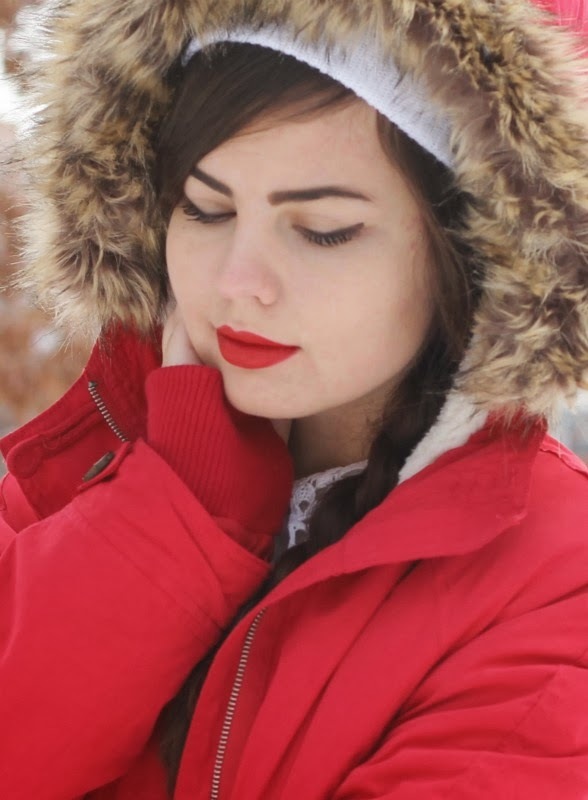 Red is perfect for winter because it stands out so much. Also, it screams Christmas, and nothing is better than that. Red is such a lovely color on you. 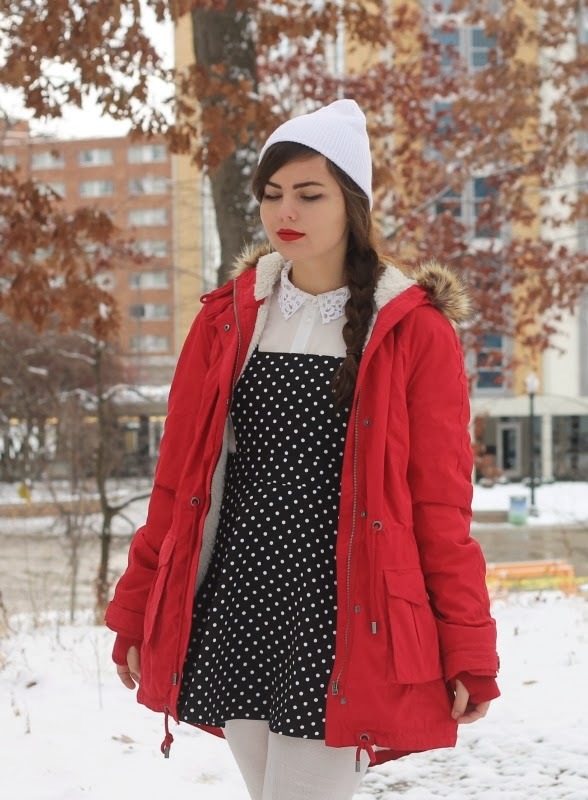 Love your pinafore and blouse! wow this outfit is amazing! and that jacket is definitely a good buy, looks and sounds amazing! and i love the way you styled it, looks amazing with the navy and white, super cute! It still amazes me how you always dress so well (and cute) in what must be the freezing cold! This look is lovely... and that coat! Gorgeous! - and what a great bargain!